Appraisals and Estates: We are always glad to offer on-site appraisals at no charge to our customers. For this service, a physical examination is required (that is, you gotta bring the gun to the store). Jack is also glad to perform off-site appraisals, although fees are incurred and are based on time and distance. 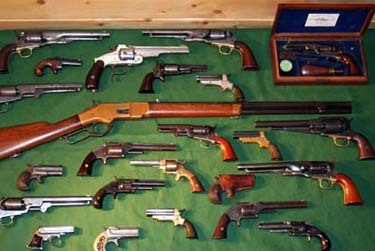 Firearm Transfers: As a FFL Dealer we are able to manage your firearms transfer, contact us for details and pricing. Sell or Trade: Looking to sell or trade? We are always looking to purchase quality firearms.